Description: Factory New Old Stock and unfired Glock Model 22 RTF2 semi-auto DA pistol in .40S&W cal. 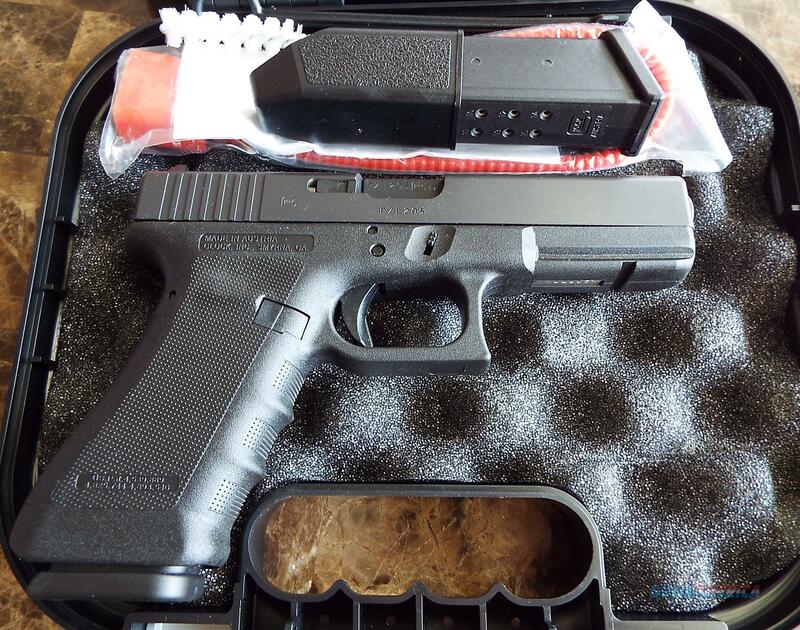 Glock introduced the G22 chambered in .40 Smith to effectively close the gap between the 9mm and the .45 ACP. Glock was the first manufacturer to make this popular and effective round accessible to law enforcement agencies. The G-22 is used by many police agencies across the US and throughout the world. This G22 Gen3 model has fixed sights, a 5.5-lb. trigger pull and includes two (2) 15-round hi-cap factory mags. It has the aggressive Rough Textured Frame (RTF2) with hundreds of miniature spikes for remarkable grip and traction with straight serrations on the slide. Tactical rail. Basic differences between the Glock 22 Gen2 and the Gen3 of this weapon are...most notably the frame has been changed to include: 1. finger grooves in the front strap. 2. an accessory tactical rail on the dust cover. 3. thumb recesses at the top of both "grip slabs". LAYAWAY price is $525 with PRIOR approval only. 120-days max. FIRST, please send message requesting layaway terms. No phone calls to start layaway process. Manufacturer's warranty. Box/papers/lock/brush. Please see all terms. Thanks!